Yorkshire is certainly the biggest of the six areas in the north of England in size and as well with golf courses. There are around 190 courses located within its borders. 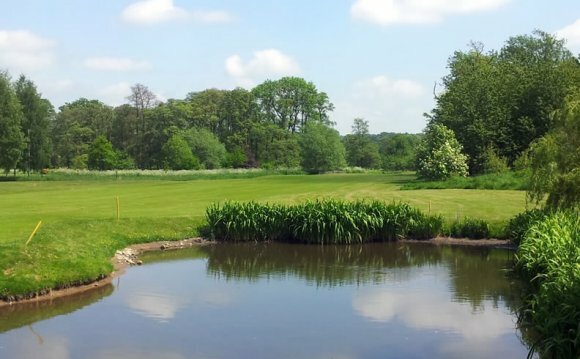 Also with so many golf courses situated around all the major cities like York, Leeds & Wakefield you will find the perfect golf break with the hundreds of accommodation providers available. There are some big name venues in this region as well as some lesser-known courses, better known as 'hidden gems'. One of the best examples of the latter is the Donald Steel-designed layout that's situated just three miles north of Howden, Boothferry Park. Steel's meadowland course is a great test for any level of player as many of the holes involve playing over water, or natural dykes. Stay dry, and you should be fine.Harrogate is a golf club that's famous not only for its golf course, but also its 100-year-old colonial style clubhouse. The course is fairly flat but incorporates plenty of strategically placed bunkers, and, although not overly long, can put good golfers in big trouble quite easily. Huddersfield is another of the older clubs in the north and boasts a quite colourful history. In 1906 Harry Vardon, JH Taylor and James Braid competed in an exhibition match to the delight of local galleries. Another exhibition match took place in 1969, this time involving Peter Oosterhuis and Gary Player. Ganton was the star of the show at the 2003 walker Cup, with players on both sides commenting on how the course made the biennial contest a truly great spectacle. It's a links course of the highest quality and should be treated with great respect.